ONA is one of my favorite brands when it comes to camera bags. I own three ONA bags and couldn't think of a better way to carry my gear in such nice looking bags. I had the privilege to photograph one of ONA's newest collection; the Clifton. ONA has always been known as the company that produces so many great quality products. And they use real leather in all of their bags including the Clifton. 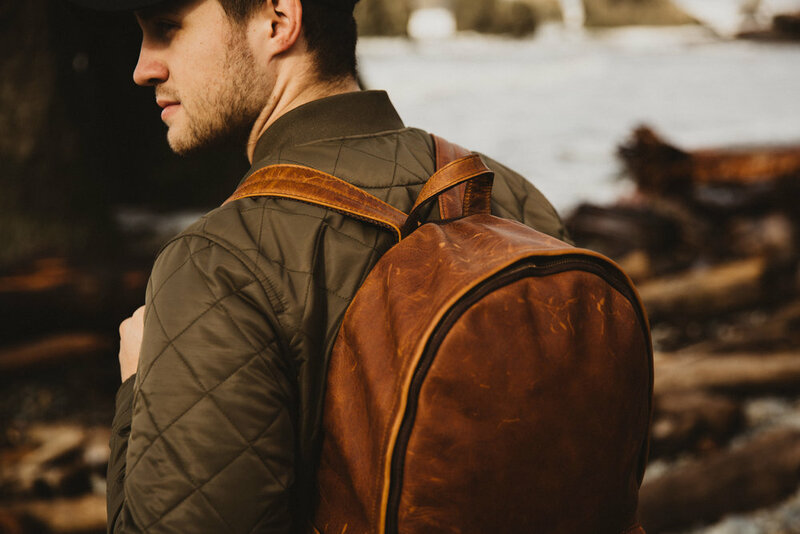 The attention to details on the stitching, and the way the backpack feels on your back is like nothing I've ever worn, it's very comfortable. I have nothing but love for ONA and will always be a fan of their products. My wife and I, and some of our closest friends were able to take the Clifton out early in the morning to the Washington Coast this past weekend. We played on the coast the whole afternoon and on the way back to Seattle we made a quick stop at Lake Crescent, one of the most beautiful lakes in the Olympic National Park. We didn't get back to Seattle until 11pm and it was worth every second.